Lewis Carroll is believed to have had the idea of writing Alice in Wonderland while staying in Llandudno. If you visit Llandudno make sure you take the Alice in Wonderland trail. Cookies are pieces of information that a website can transfer to an individual’s computer hard drive for record keeping. Cookies can make websites easier to use by storing information about your preferences on a particular website. The information remains on your computer after the internet session finishes but you can delete them using some browsers, manually or using system utilities. Most internet browsers are pre-set to accept cookies. If you would like to turn off cookies, you can usually do this using your web browser. Click the Help menu in your browser to find out how, or follow one of the links below for information about the specific browser you are using. Remember that cookies can be essential to the functionality of some websites (e.g online shops and services which you log in to) so make sure you are aware how your favourite websites are using cookies before turning them off for these sites. So you can easily 'Like' or share our content on the likes of Youtube, Facebook and Twitter we have included sharing buttons on our site. You can learn more about online advertising at http://www.youronlinechoices.com . You can opt-out of almost all advertising cookies at http://www.youronlinechoices.com/uk/your-ad-choices although we would prefer that you didn't as ultimately adverts help keep much of the internet free. It is also worth noting that opting out of advertising cookies will not mean you won't see adverts, just simply that they won't be tailored to you any longer. 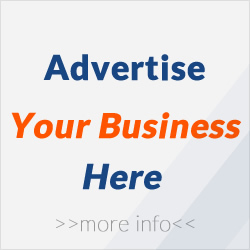 These adverts are usually managed by a partner specialising in providing adverts for multiple sites. Invariably these partners place cookies to collect anonymous data about the websites you visits so they can personalise the adverts to you, ensure that you don't see the same adverts too frequently and ultimately report to advertisers on which adverts are working. We have a number of partners who promote our service on a success-only basis (i.e. instead of paying for advertising, we pay them commissions on sales). Cookies are required to allow us to reward these partners and these cookies are usually provided by specialist companies (known as affiliate networks). Neither us, the networks, or the partner advertising or recommending our services are able to identify you personally. We ask you to support us by allowing these cookies which ultimately help us to offer you the service we do at the price we do.